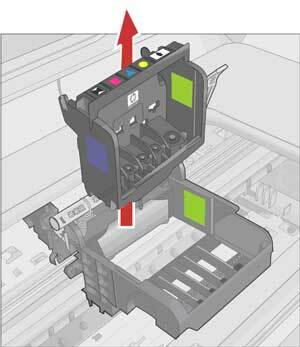 All inkjet printers require printheads, but not all printheads are the same. Printheads are the hubs that take the ink from the cartridge and push it through the nozzles to be applied intricately and precisely to the paper. There are three different types of printheads and two different elements within the printheads that separate one technology from the other. Early inkjet printers featured printheads that were built right in to the machine and the cartridges would snap into the printhead. 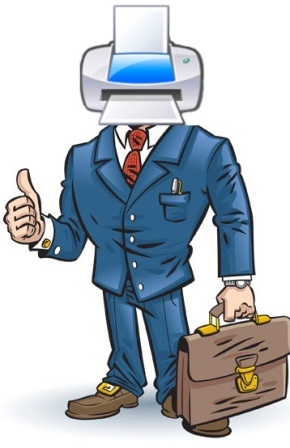 This type of system is not good for a busy office because the built-in printheads cannot be replaced or cleaned, so if they are to get clogged or damaged, the entire printer must be replaced. 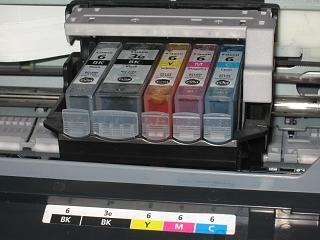 The next type of inkjet printing system to come out has the printheads built into the ink cartridges. This allows printheads to be cleaned or replaced, which made these machines more office-oriented. 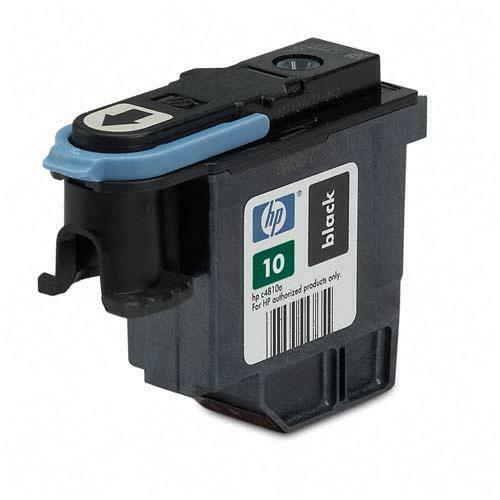 However, because ink cartridges were more complex, the price of replacements skyrocketed. The most recent technique features hybrid printheads, which are a combination of the previous two types. These are also built into the machine, but are still replaceable and can be cleaned. Most current models now feature these types of printheads as they are the most durable and cost-effective. This printhead holds all colors of ink cartridges and each cartridge can be removed separately as needed. This printhead has a single ink cartridge attached to it. 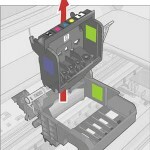 The ink cartridges can be removed from this print head, and the print head can be removed from the printer. These two technologies will produce equally good results and ultimately have a very similar process, the only difference is the element that is used to push the ink. In thermal printheads, the element of heat is used to vaporize the ink, creating a bubble that expands and pushes through the nozzles. The ink then cools and turns back into a liquid when being applied to the paper. Piezoelectric printheads, which are mostly found in Epson inkjet printers, uses a piezo crystal element that receives a small electrical charge and vibrates, forcing the ink out of the nozzle. It will be beneficial to pay attention to the printhead specifications when purchasing a new inkjet printer. 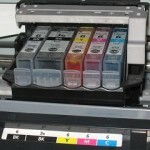 Consider the volume you will be printing and the budget space allotted for maintenance costs. The machines with built-in printheads are best suited for homes, the units with the printheads attached to the cartridge will be a good match for low-volume offices, and the printers with hybrid printheads will be the best option for high-volume, complex printing requirements.